The purpose of establishing this hotel was to keep this taste of elegance. When you stay here you will rent the entire house, which is representative of the old city of Kyoto. When you finish reception at the renovated office building facing "Nene no Micho", your townhose stay in Kyoto starts. CAMPTON I is at the crossroad of Hanayamachi and Shinmachi streets. 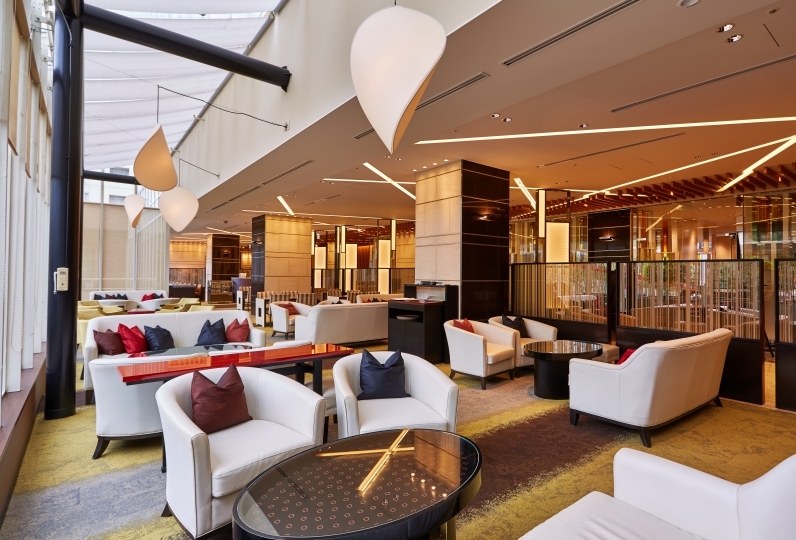 The hotel is very particular about the materials and items used in its space. 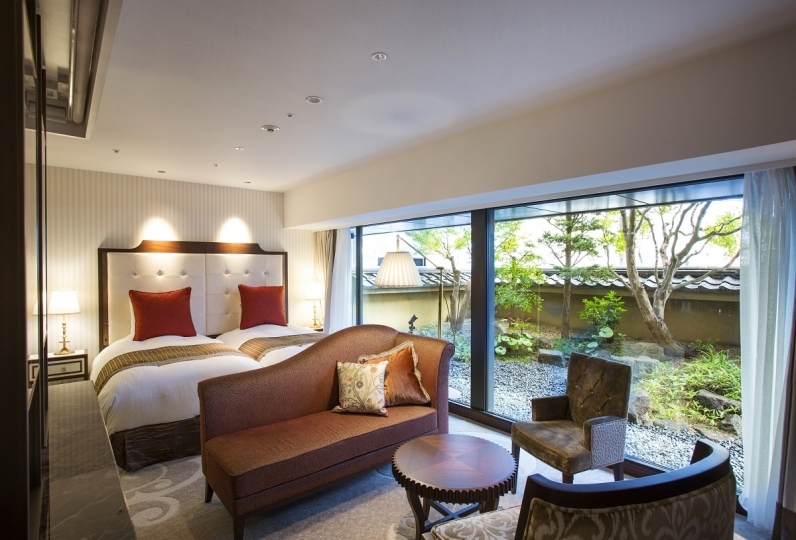 Because of this, you will notice that the hotel has adopted pleasant modern day features while retaining a taste of classic Kyoto style. You will see high quality solid wood, giving you natural warmth inside. And you can relax while you are taking a bath made out of beautiful Japanese umbrella pine wood. The beautiful Japanese garden will have different faces each season and in the historic tea room, you can feel a sense of elegance. 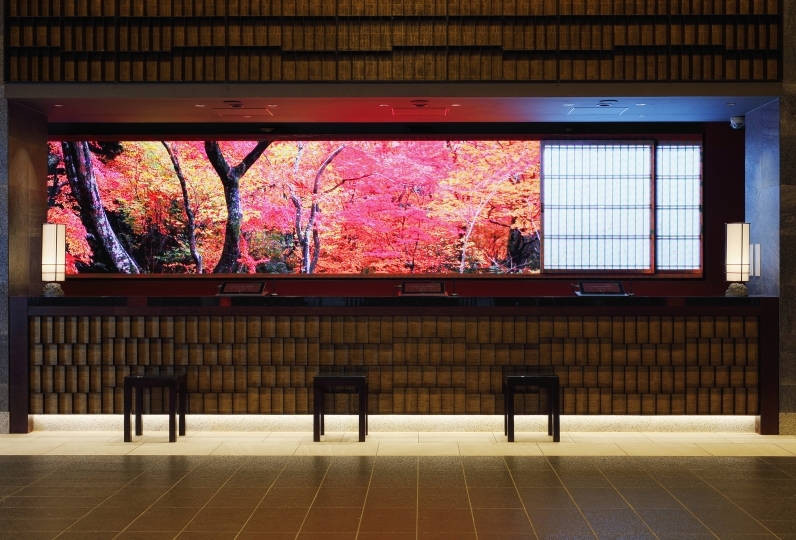 The hotel also prizes it's traditional Japanese short curtain designed by the well known calligrapher Hina Takagi. Please enjoy your time while reflecting on the history of this one-thousand-year-old capital city. I am grateful that I can spend the best time in my memory in Kyoto. Thank you very much. However, checkout should be 11 o'clock, but it is disappointing that the cleaning staff came before time. Thank you for this time. It is a wonderful hostel and we are very grateful that we also had plenty of services. It was so nice that I would like to use it again. Thank you for this time. These rooms are very spacious. 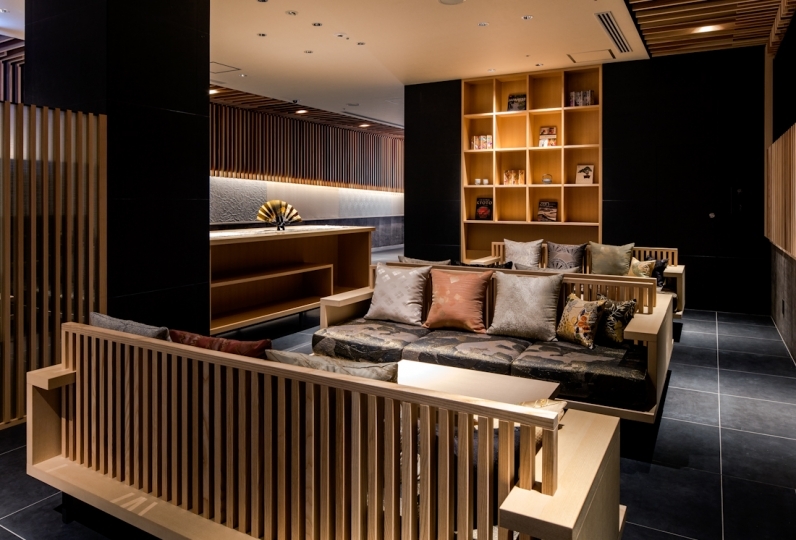 There is electric heating within the flooring so guests do not need to worry about the problem of the cold winter that machiya style houses often have. There are two bedrooms, both having twin beds. All the linens used are specially chosen for their characteristics. They are provided by Fiber Art Studio and the threads are specially chosen for the linens. Guests can sleep very deeply with these soft sleeping arrangements. 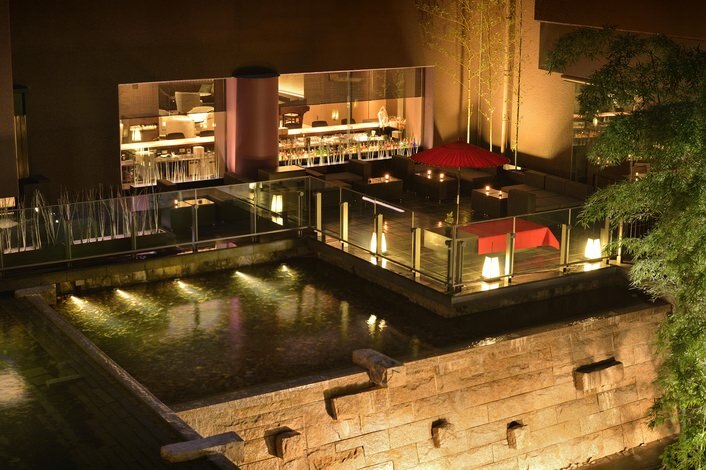 One of the features of the beautifully lighted-up kyomachi house. The garden is designed to be enjoyed from any angle around it. 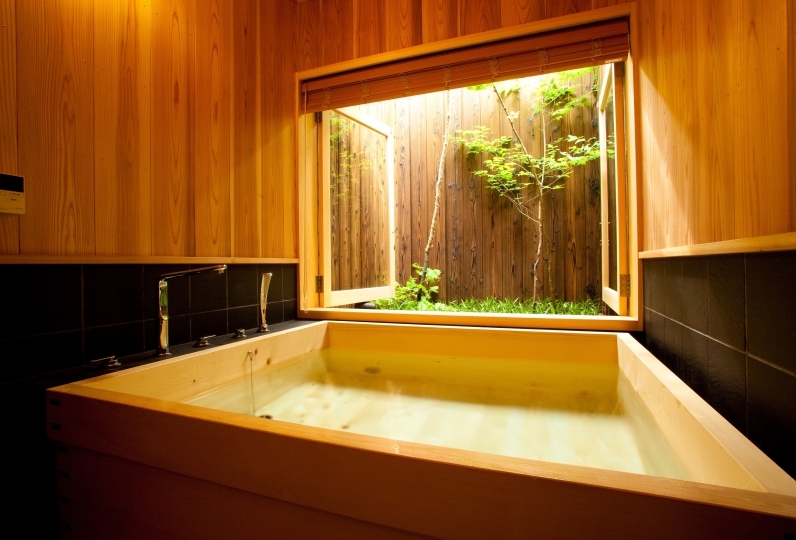 The onsen bath has a view of the interior courtyard garden. The bath is made from rare Japanese umbrella pine wood. The water bucket and chair are made from the same material. 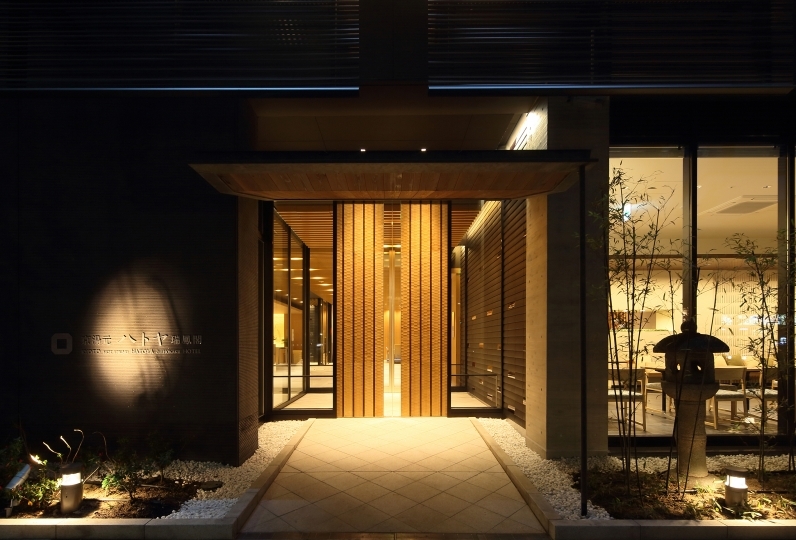 This ryokan uses a shower which is often found in 5-star hotel rooms. Amenities are from Kyoto Chidoriya. This includes a skin and hair care set. These amenities are very gentle on the skin and are completely organic. The kitchen is equipped with refrigerator, microwave, espresso machine, wine glasses, tea, and other items.